Cells of multicellular organisms communicate with each other through varied mechanisms. A prominent way is through exchange of information through biomolecules secreted by cells followed by their uptake by neighboring recipient cells. For their effective uptake, the secreted molecules are packaged into small membrane bound vesicles known as extracellular vesicles (EVs). 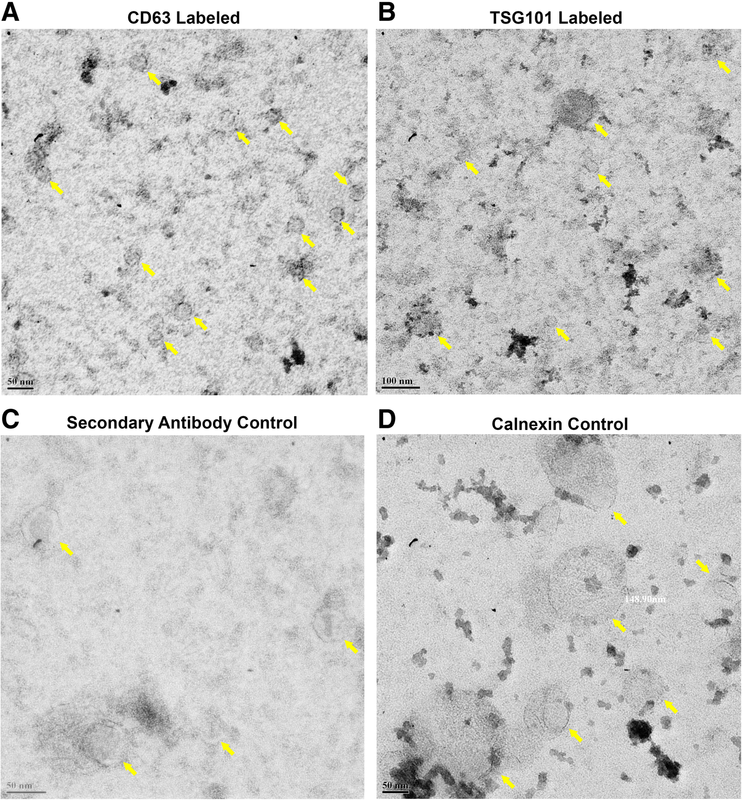 These EVs have an average diameter of around 30–1000 nm  and are further classified based on their size and biosynthetic pathway as exosomes (30–200 nm) or microvesicles (200–1000 nm) [2, 3, 4]. The microvesicles are formed by outward budding and fission of the cell membrane, whereas exosomes are released from the cells by invagination of the cell membrane followed by their exocytosis . The EVs express molecules like CD63, CD81, CD9, HSP70 etc. . Almost all cells secrete EVs and these EVs have the potential to modulate various cellular functions under both physiological and pathophysiological conditions . The EVs have been associated with diverse functions that include cell growth, proliferation, angiogenesis, metastasis and therapy resistance [6, 7, 8]. 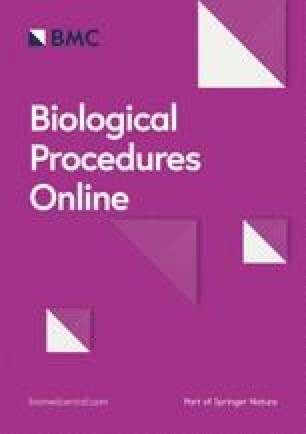 Whilst, their participation in each of these complex processes is being analyzed, their specific role in each of these pathways in relation to their functional involvement in various signaling pathways requires detailed elucidation. The EVs due to their complex nature and very small size are difficult to characterize and furthermore tough to view. Use of advanced methodologies that include electron microscopy and atomic force microscopy are useful in their characterization. However, the complex nature of these methodologies precludes their use and necessitates development of simple protocols for their visualization. Till date, there are very few methods available for fluorescent labeling of EVs isolated from cell cultures and their direct visualization using immune-fluorescence microscopy. 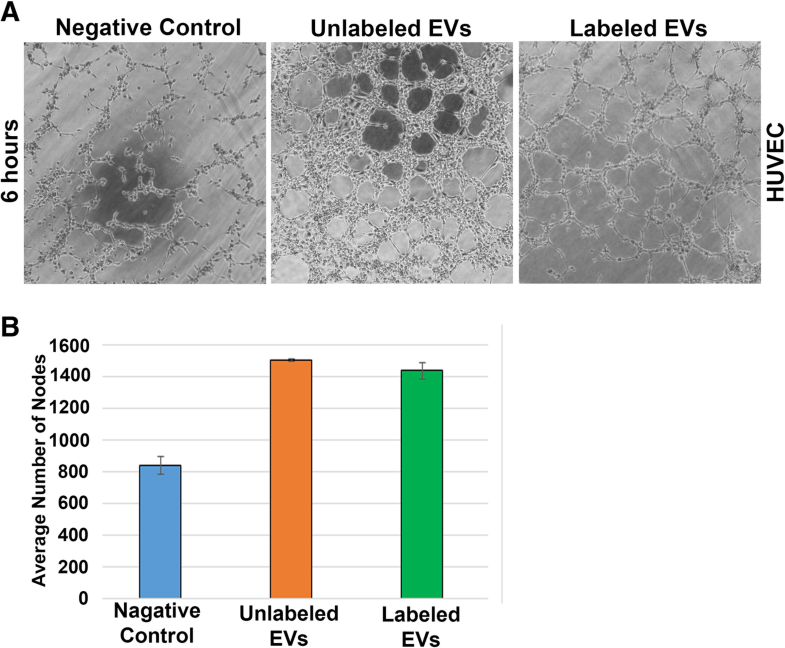 The previously described methods are based on isolation of EVs from cells and their labeling using dyes like - PKH, Did, CFSE for their visualization and in vitro tracking in recipient cells [9, 10, 11]. PKH dyes are one of the most widely used lipophilic dyes for EV labeling [12, 13]. However, most of these lipophilic dyes often label EVs non-specifically as other cellular components also get labeled and thereby generate false positive signals [14, 15]. 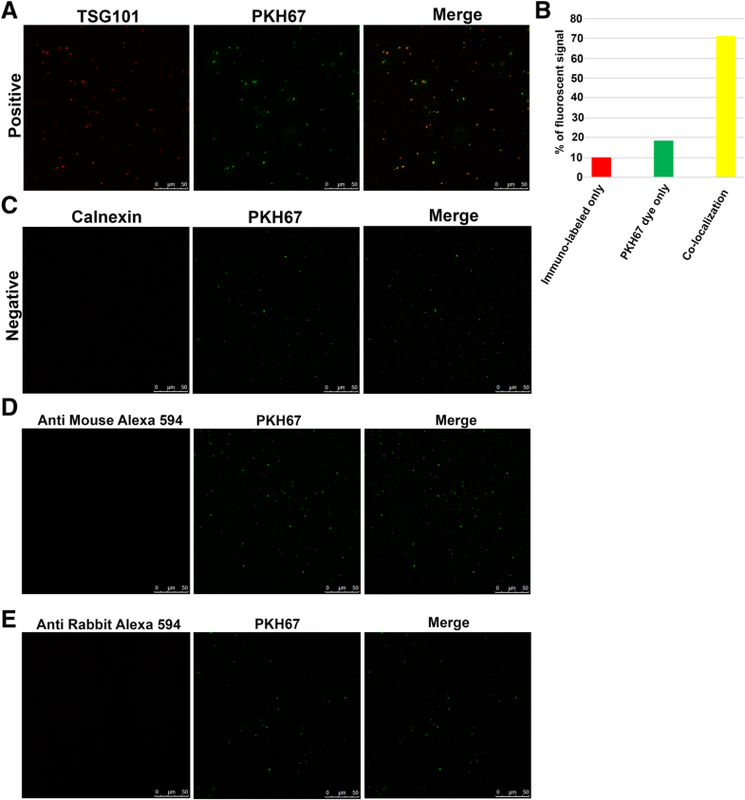 Since, PKH dyes are very stable, the unbound dyes get retained in the cells, thereby producing background signals in cellular uptake assays by staining of recipient cells. In summary, lipophilic dyes are not reliable EV labeling agents unless one has an entirely pure population of EVs that is completely devoid of cellular components . 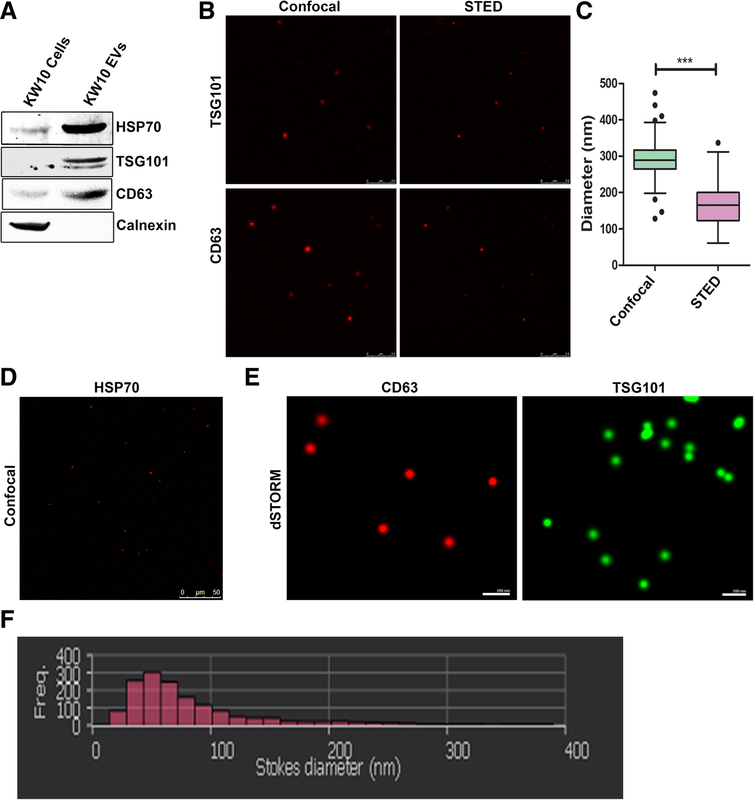 Another way to label EVs, is by cloning the EV specific markers (like CD63, CD9, CD81) in reporter vectors that are tagged with GFP/RFP followed by their transfection into cells of interest [17, 18, 19, 20]. However, there are limitations in using fluorescent protein conjugated EV labeling methods. Specifically since, EV signatures are not similarly expressed in EVs derived from all cell-types and they very often show heterogeneity in similar or different cell-types . Thus, the use of reporters conjugated to proteins enriched in EVs, is only restricted to subpopulations of EVs. This limits their wider use in observing multiple EV types without the use of single EV analysis (SEA) technology . Unfortunately, genetic labeling cannot be performed with plasma EVs such as isolates from human blood.